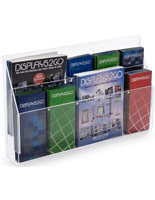 Adjustable for Newsletters & Trifolds! 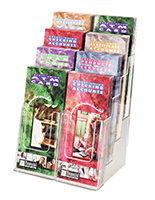 Tons of Space for an Assortment of Promotions! 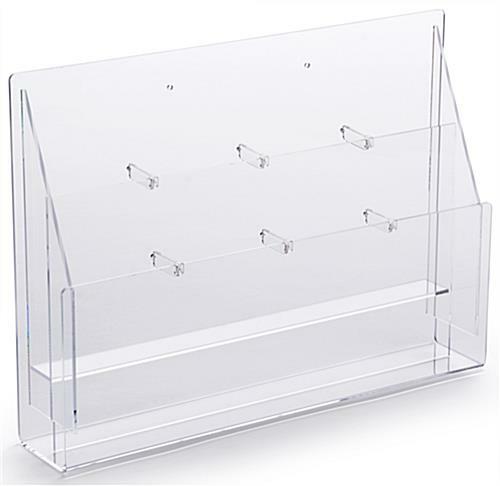 High End Look, for Cheap! 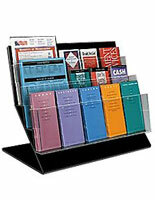 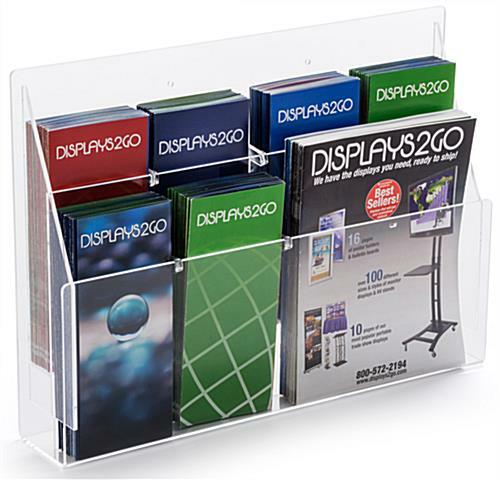 This countertop leaflet holder supports advertising trifolds for business stylishly and durably! 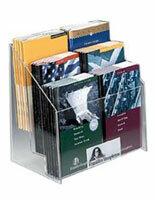 This periodical rack makes magazines and pamphlets accessible to prospective clients. 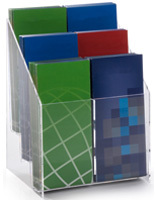 Acrylic pegs enable this leaflet holder that is a pamphlet stand to store differently sized promotions because pocket dividers are adjustable. 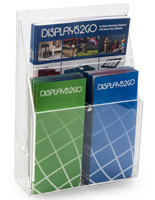 This literature display, such as a brochure mount for business makes a quality stand for less money! 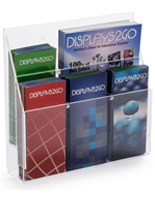 Order in bulk for even more savings! 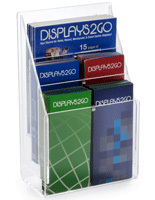 Mount this unit on a wall or desktop to expand your promotional options!